We started our business because we noticed something: Atlanta was growing up in specialty coffee. New shops were –– and still are –– opening all over the city, and Atlantans were –– and still are –– beginning to love excellent coffee. Though we were both from here, my business partner, Jared, and I became “coffee people” elsewhere. Jared first fell in love with coffee while living and working in Indonesia –– a place he liked to call “the East Pole.” And I found specialty coffee on my hunts for wifi while working as a copywriter in Kansas City and Phoenix. In 2014, while Jared was working at Taproom and I was living in Phoenix, working for Cartel Coffee Lab, we started to talk about the Atlanta coffee trend, and how we wanted to be a part of it. A year later, soon after I moved back to Atlanta, we started the way a lot of businesses start –– in a garage. We bought a small, five-pound U.S. Roaster Corps. roaster from a hobbyist in Orlando and a couple of 152-pound bags of coffee. We set up in a friend’s 350-square-foot garage in Grant Park, using his ping-pong table as a catch-all. There, we suffered through some really cold, late nights and some really humid, hot days, slowly building our customer base. That was a couple of years ago. And today, though we’re still a small part of the market, we’re really excited to be riding the swelling wave of interest and growth in specialty coffee here in Atlanta. Since the day we drove down to Orlando to buy our first roaster, some excellent coffee programs have sprouted up. Places like 8 Arm, Brash, Brother Moto, Read Shop, Spiller Park and, most recently, Muchacho, have all sprouted up in these last couple of years. And for everyone of those, there are others joining the ranks, serving Atlantans better coffee every day. We blinked, and now almost every nook and cranny of this sprawling town has an excellent coffee shop –– or two or three –– to celebrate. 1. Two Months in... what has been the most exciting and hardest part about opening your shop? 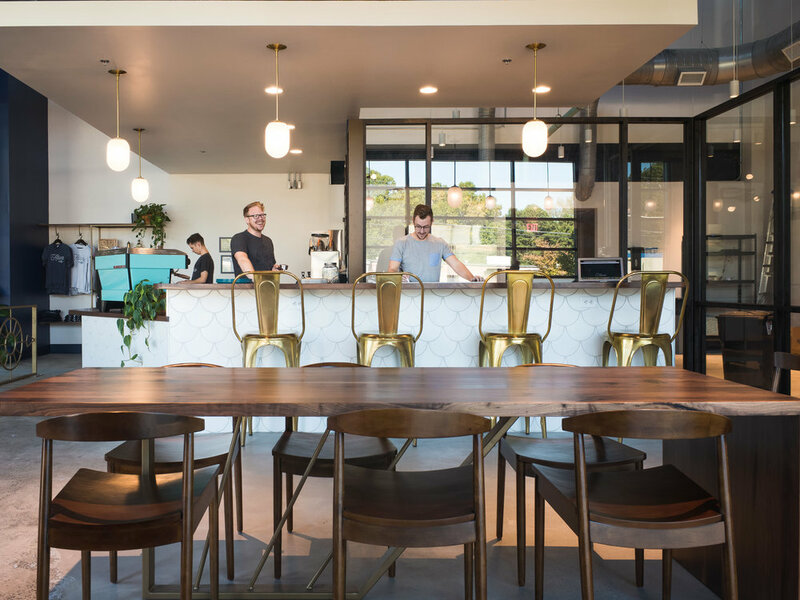 When we decided to pull the trigger and open up a brick-and-mortar coffee bar, the number one thing we wanted our guests to experience in interactions with our staff was approachability. Specialty coffee is too often pretentious and aloof. We resented that, so we focused on hiring a staff that was warm, friendly, and not holier-than-thou. For me, the most exciting part of these first two months has been seeing Google and Yelp reviews come in that highlight that very initiative. Our staff has done an excellent job embracing this vision, and I'm very proud of the way they've kindly interacted with our customers. So far, the hardest part has been leaving the shop, or staying away. It has become my center of gravity, and I'm constantly drifting toward it. There's always something to do, and all of us on the East Pole team love to work on building and constantly improving the company and customer experience. 2. For someone who dreams of starting a small company in Atlanta, what is one piece of encouragement or advice you would give them? The more and more I talk to other small business owners –– almost regardless of vertical or tenure –– I'm always so surprised how much we have in common, specifically in one area... we don't really know what we're doing, but we're trying to figure it out every day. Starting a small business is very much like building a ship at sea. This is so cliché, but you really do learn something new every day. It's not really "survival of the fittest" out here, but it might be "survival of the most resilient," or something like that. We've only taken a few steps, so I don't mean to suggest we've arrived, but I do know that the attribute most responsible for getting us to where we are is resilience. We've caught a lot of bad breaks, but Jared, in particular, has always kind of carried this inexplicable confidence that things would always work out. So, our other business partner, Matt, and myself would kind of just go with that and, sure enough, because we were still standing as a business, we were eligible to catch good breaks, and we've had a few of those, too. 3. 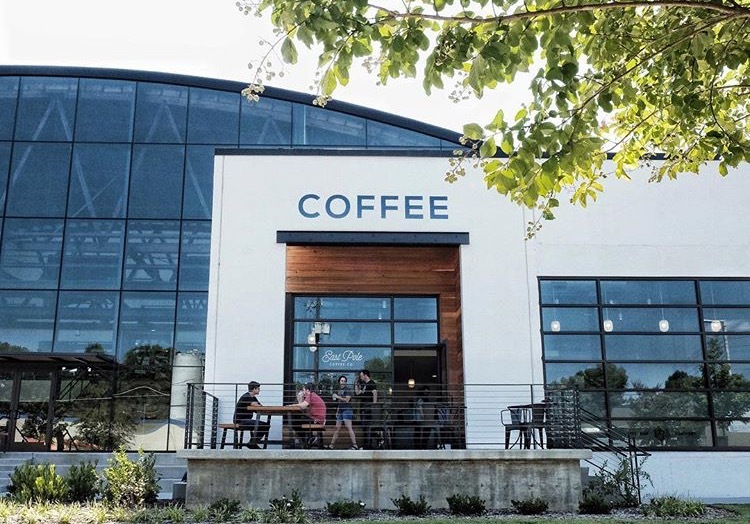 What are you most excited about for the future of Atlanta as a coffee town? That weekend was probably the hardest I've ever had to work. We served a non-stop line of people for nearly 72 consecutive hours –– no exaggeration. And many of those people were Seahawks fans, who were very quick to tell us about Seattle coffee. "You know," they'd say, "Starbucks started in Seattle." Or they'd kind of watch us as we made their drinks and remark, "We're from Seattle, kind of the coffee capital of the world, so it will be interesting to see how this stuff tastes." Their attitudes were often obnoxious, as were the neon green accents on their Seahawks jerseys, but I kind of appreciate how pumped they were about their town's coffee scene. I hope one day, when Atlantans travel to Seattle en masse –– perhaps for Atlanta United to beat the Sounders or something –– that they walk into a café brag about how great the coffee is back home, just hopefully in a less obnoxious, more politely Southern way. I think that reality is attainable. That's kind of a weird answer, I know. 4. Lastly, I have to ask, who designed your beautiful space!?! Designing our space was a team effort. Jared and I always knew that we'd want a roastery-coffee bar space, and that we'd want the roasting operation in sight. So we conceptualized it together, and Jared sort of sketched a plan out for our architect, Chris Evans with E+E Architecture in Athens. Jared's wife, Sara, and I collaborated on a lot of the interiors and finishes, with a lot of input from Jared and Matt. And we worked with Matt Hicks of Matix Woodworking and B10 Union on the furniture and bartop, which is all custom, except for the chairs.